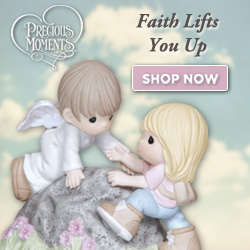 Welcome to the Affiliate Center for PreciousMoments.com. Here you can reference the program’s terms and stay up on important updates. More than thirty years ago, Precious Moments creator Sam Butcher began drawing the endearing teardrop-eye children he called “Precious Moments” as gifts for family and friends. Today, his Precious Moments artwork is among the most recognized art in the world, sharing messages of loving, caring and sharing with collectors from around the globe. PPC Terms:No search or PPC bidding is allowed at this time. Direct Linking is not allowed.